n February 17, 1864, the Confederate Hunley became the first submarine to destroy an enemy vessel in battle when it sank the Union sloop of war Housatonic outside Charleston harbor. The Hunley did not return from that mission and lay on the ocean bottom for 136 years until its recovery in August 2000. Karen and I traveled to Charleston in December 2000 and viewed the submarine in its tank at the Warren Lasch Conservation Center. I hope the material presented here conveys a little of our experience of gazing down at this Civil War relic. The Hunley combines my interests in Victorian-era submarines and archaeology. The state of preservation of the submarine makes it a significant example of 19th century submarine technology. You can learn much more about the Hunley at the important other sites linked below. Originally conceived to place the Hunley in context with the Jules Verne Nautilus speculation that is a subject of this site, these pages have become a major resource for reconstruction concepts and archaeological explanations. My un-official Hunley 3D reconstruction, based on published descriptions, photos, snap shots from the Friends of the Hunley web cams, and other sources, features detailed interior and exterior renderings. Examine the work in progress here. A slightly out-of-date abreviated, "Cliff Notes" description of my Hunley reconstruction, using my 2D drawings in interactive Flash media. My Hunley archaeological interpretation, based on many of the same sources and drawing on my own extensive field experience on many other archaeological projects, attempts with 3D renderings to reproduce the experience of excavating the submarine. Follow along here. Updated "Hunley Lost" pop-up to include Rachel Lance's conclusion that the crew were likely killed instantly and to address statements that her conclusions are inconsistent with the Naval History and Heritage Command study that modeled skeletal, not soft tissue injuries. Added a link to Lance's paper, below. Hunley plan on reconstruction page extensively updated to reflect much new information accumulated in the past year. Added two new Naval History and Heritage Command links. Added new viewable low resolution cutaway 3D model. Added Housatonic Court of Inquiry transcript. See the archaeology page for new information revealed when the Hunley's hull was cleaned of concretion in the on-going conservation program. How was the Hunley lost? Click for some thoughts. Is there a connection between the Hunley and the Nautilus or the cigar ships? Click for a few words. The U.S. Navy conducted a Court of Inquiry into the sinking of the Housatonic in February 1864. Rachel Lance has graciously provided a complete transcription of the Court's report. Read it here. See more about the Hunley using the off-page links below. A paperback (black and white) version of the report is available from amazon. More up to date, this site page, Science Meets History: Incident Analysis of H. L. Hunley, posted 15 Feb 17, reports the latest research on the loss of the Hunley, and includes some informative videos. The report is much less detailed than the Recovery Operations report, and appears to misidentify the damaged ballast tank pipe that Paul Mardikian discovered while cleaning the concretion from the hull, but still is incredibly interesting. This study will soon be or has been published as a formal paper ("Investigating the Loss of the H.L. Hunley" by Matthew Collette and Ken Nahshon) by the Society of Naval Architects and Marine Engineers (SNAME). "Did the crew of the submarine H.L. Hunley suffocate? ", by Rachel Lance, et al, published in the March 2016 Forensic Science International. Discusses this theory and describes a detailed forensic analysis of the possibility. Conclusion: "Based on this result and the location of the crew when discovered, hypoxia and hypercapnia do not explain the sinking of the world's first successful combat submarine." In February 2017 only the abstract of this paper was freely available. 'Did a "lucky shot" sink the submarine H.L. Hunley? ', by Rachel Lance, et al, published in the January 2017 Forensic Science International. Discusses this theory and provides a detailed forensic evaluation of the possibility. Conclusion: "Based on our results, the 'lucky shot' theory does not explain the sinking of the world’s first successful combat submarine." In September 2017 only the abstract of this paper was freely available. 'Air blast injuries killed the crew of the submarine H.L. Hunley', by Rachel Lance, et al, published in the Open Access journal PLOS (Public Library of Science) ONE 23 August 17. Presents findings of experiments and analysis of soft tissue injuries suffered by the crew. Conclusion: "the secondary wave transmitted inside the crew compartment was of sufficient magnitude that the calculated chances of survival were less than 16% for each crew member." Full text, images, and a PDF copy of the paper are available. A video is available in the Duke University article about the research. The Naval History and Heritage Command site also has a comprehensive history of Confederate submarines. See The H.L. Hunley in Historical Context for designer James McClintock's description and William Alexander's description and drawing, done some time after the Hunley was lost. See transcripts of original Union and Confederate Navy documents about the sinking of the Housatonic here. 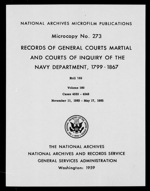 You can find illustrations associated with these documents at ibiblio.org, the online public library. Conrad Wise Chapman produced two sketches and a contemporary painting of the Hunley. He was a consummate draftsman and work on the submarine continues to prove the accuracy of his depictions. You can see his famous painting here and his starboard-side drawing here. The Museum of the Confederacy in Richmond, Virginia, has images of Chapman Civil War paintings on its digital collection website and offers them as prints. This link goes to the first page. This one goes to the Hunley print. The National Center for Preservation Technology and Training site has a 20-minute video of a comprehensive lecture by Christopher Watters, "3D Technology and the H.L. Hunley: Beyond Documentation". The lecture was recorded in July, 2012 in San Francisco, California. In the late 1990s the National Park Service published their assessment of the Hunley underwater site on the web. The document duplicates some of the above material, but has information, such as detailed dimensions, concretion and sediment description, and some nice drawings not available anywhere else. When the site was redone the excellent but very large on-line copy of the H.L. Hunley Site Assessment was replaced with a smaller low-resolution version. Much has been learned about the Hunley since its recovery. The H.L. Hunley: The Secret Hope of the Confederacy by Tom Chaffin is the latest account of the Hunley story. Chaffin takes a fresh look at primary source material about the Hunley's history, including personal letters of the principles and their relatives, and presents a new picture. He challenges a number of myths that have grown around the submarine and its crew over the years. Click the link for more information or for a good deal on your copy at amazon.com. Raising the Hunley: The Remarkable History and Recovery of the Lost Confederate Submarine by Brian Hicks and Schuyler Kropf is the most up-to-date account of the continuing Hunley story. Presented in narrative form, the book covers the submarine's long history, and the politics and personalities that have affected it to the present day. I have a few quibbles - a Jules Verne connection is highly overstated, for example - but this is a good, informative, recommended read. Click the link for more information or for a good deal on your copy at amazon.com. Sea of Darkness: Unraveling the Mysteries of the H.L. Hunley is Brian Hicks' new, 2015 book about the Hunley. In addition to a very readable account of the Hunley's history, its discovery, and recovery in 2000, it includes the the most up-to-date account of discoveries made as the concretion is removed from the hull. The photo section includes up-to-date color photos as well. H. L. Hunley Recovery Operations from the Naval History and Heritage Command details the operations associated with the finding and recovery of the Hunley including the sea bottom archaeology. Although the major part of these operations occurred in 2000 and before, the 350-page report includes much material not released before, including some dating to more recent activity. If you missed the National Geographic Explorer TV programs, you'll like the National Geographic video Raising the Hunley: The Resurrection of a Civil War Legend. The 60-minute program covers the project from the dives to uncover the submarine through its recovery to the completion of the cabin excavation. The History Channel program Digging for the Truth devoted an entire one-hour show to the Hunley in 2007. Although one can find fault with some of the demonstrations (while exciting, the explosion test doesn't reproduce the Hunley torpedo detonation) there is a lot of good and up-to-date information in the show. Purchase a DVD of the program "The Hunley Secrets Revealed" from the amazon. It's worth the price. Secrets of a Civil War Submarine, by Sally Walker, provides a comprehensive, concise overview of the Hunley’s history, recovery, excavation, and conservation. Targeting the late grade-school reader, the book is written in the style of and at a similar level to a National Geographic article. Any reader will enjoy it and come away with a very good understanding of the Hunley project. There are a few detail mistakes, such as in an explanation of neutral buoyancy, but the main point is always delivered successfully by the text. I found several important bits of information I haven’t seen elsewhere. The explanation of archaeological techniques as applied in the Hunley excavation is the best I’ve read. The book is nicely illustrated, although most of the photos have been previously published, and the interpretive drawings contain some fairly large inaccuracies. Overall, I’m happy to have this in my collection of books about the Hunley and I’m glad to recommend it. I haven't read The Voyage of the Hunley by Edwin P. Hoyt, but John McKee says that although not detailed it is "a good overview ... quite suited for the next of kin [of a Hunleyphile] who may want to know what the Hunley is all about without spending too much time reading it." Although only one chapter is about the Hunley, Lost Subs by Spencer Dunmore is a very nicely illustrated collection of submarine recovery accounts, including Holland's first boat and concluding with the Kursk. The twenty pages about the Hunley include a beautiful two page (9"x20") copy of Chapman's painting and numerous Dan Dowdey renderings. Mark Ragan has a new version of The Hunley: Submarines, Sacrifice, & Success in the Civil War, now renamed simply The Hunley. Like the original, this slightly smaller format trade paperback edition is illustrated with period drawings, photos, and copies of documents. The text of the first five chapters is nearly identical to the early edition, but laid out for easier reading and reference. The expanded sixth and last chapter includes a detailed account of the recovery and excavation of the vessel, which happened since the original publication, and in which Ragan participated. As in the original, Ragan’s personal accounts of his research and related activity enhance the overall reading experience. The new work adds an index and includes expanded endnotes, increasing its value as reference tool. Purchase this interesting book at amazon.com. Visit Cottage Industry Models, Ltd. for some beautiful Civil War era scale model kits. William Blackmore currently offers a number of ironclads, two Davids, the Pioneer, and an old and new version of the Hunley, among other kits. More importantly, he now offers a new Hunley kit with full interior that is as accurate as could be with the information available at the time. The depiction of the submarine in the next items is no longer completely accurate, but that does not diminish their value. I recommend this useful book about Civil War submarines. I found the presentation a little disorganized, but the research for Union and Confederate Submarine Warfare in the Civil War by Mark K. Ragan is thorough and the comprehensive information provided is very good. The updated paperback edition, re-titled simply Submarine Warfare in the Civil War was published in 2003. It contains all the material in the original hardcover plus additional and more up-to-date material on the Hunley. Click the links for particulars at amazon.com. Mark Ragan's original The Hunley: Submarines, Sacrifice, & Success in the Civil War is out of print but used copies are available via amazon.com or bookfinder.com. You can find copies below $20. This richly illustrated, large format trade paperback has over 240 pages of historic photos, copies of documents, and Ragan's own account of his extensive research. The video The Hunley, with Armand Assante as George Dixon and Donald Sutherland as General Beauregard, presents the history of the Hunley accurately and dramatically. I found the final moments of the crew somewhat surreal, but I recommend the film. Karen and I sat at the crank in one of the submarine sets on view at the Warren Lasch Conservation Center and so vicariously drove the Hunley with the actors. Click the image for particulars. Hunley Spend some time at the official, if rather dormant Friends of the Hunley web site, reviewing the excavation and conservation reports, historical data, and goodies like a 360o panorama of the interior. On-line The National Geographic on-line site has a capsule version of the article in the July 2002 issue and a few extras, like a rotatable 3D view and notes by the author and photographer. On-line Scientific American Frontiers recently featured the Hunley. You can view The Uncivilized Engine of War on-line here or read a transcript of the program here. MIT World On 25 Apr 2003, the MIT DeepArch Research Group sponsored a lecture, Civil War High Tech: Excavating the Hunley and the Monitor, now available for on-line viewing. The entire video is three hours long. Maria Jacobsen's Hunley presentation begins after a ten-minute introduction and lasts about an hour and twenty minutes. The content is very good, covering the project from the underwater work up to early 2003, with tidbits not previously published. Engage in conversation, speculation, and exchange information on the Hunley here. Such a forum could have and should have been part of the official site. Collections The Low Country Digital Library Hunley Collections include beautiful high-resolution photos of personal artifacts and submarine components and tools discovered during the excavation. A Digital Restoration Visit Mike McMillan's site for very nice renderings of his 3D restoration. CSS Hunley The Morris+Bailey CSS H.L. Hunley site (in the Internet Archive) has a 3D Hunley reconstruction and a number of nice renderings. There is also some good information about the Confederate David semi-submersibles. Archaeology The DENIX (Defense Environmental Network & Information eXchange) Cultural Resources, Underwater Archaeology page has several informative publications about the archeology and conservation of the Hunley (Legacy Project 04-106 and 05-106). ALLIGATOR The US Navy also experimented with a submarine during the Civil War. The Alligator never saw action, but like the ironclad Monitor, it was lost during a storm at sea while under tow. Learn about this boat and follow the attempt to find it at this National Oceanic and Atmospheric Administration site and at the Navy and Marine Living History Association web site. Monitor National Marine Sanctuary This excellent National Oceanic and Atmospheric Administration site provides considerable material on the wreck of the Civil War ironclad Monitor. Read about the 2002 Expedition that raised the Monitor's turret with its two Dhalgren guns. Go directly to the expedition pages for graphics and interpretive material. Finally, not archaeology, but a book about an important 19th century submarine inventor who was forgotten for many years and is still neglected in submarine history. Ictíneo I & II Before Horace Hunley and the team of engineers began their submarine experiments, Narcís Monturiol was designing and building his first Ictíneo, or New Fish. Between 1859 and 1868 Monturiol built two submarines that were more advanced than any other of the time. The double-hulled Ictíneos had oxygen generation and CO2 absorption equipment and ballast tanks that were emptied by pressure. The submarines completed many successful dives as deep as 30 meters near Barcelona. Monturiol could never achieve the speed he needed through human power, so he eventually fitted the second boat with two engines, a standard steam engine for surface power and a chemical engine for underwater operation. Unfortunately, his desire for perfection was greater than his practicality and his second prized boat was seized and sold for scrap when the submarine enterprise went bankrupt. Monturial's Dream, by Matthew Stewart, is a biography of the inventor and the story of his turbulent times, but contains considerable information about the submarines that were the focus of the inventor's later life. This page and its contents Copyright © 2001, 2002, 2003, 2004, 2005, 2006, 2007, 2008, 2011, 2015, 2016, 2017 Michael & Karen Crisafulli.